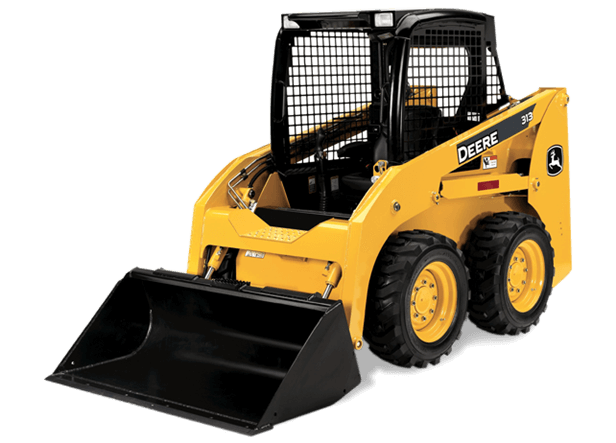 Like its bigger D-Series Skid Steer siblings, the 313 delivers best-in-class stability, visibility, and serviceability. Lightweight and agile, yet surprisingly powerful, this highly capable compact is the perfect size for confined areas. Easy to transport between jobsites, too. So you can get more done, more reliably, for less. Features such as heavy-duty drive chains that never need adjustment, easy-to-fill large-capacity fuel tank, and a self-cleaning, no-grease Quik-TatchT ensure it's as easy to maintain as it is to run. Plus, this little dynamo is highly versatile. Equip it with any of the many Worksite ProT attachments, and watch productivity take off.